A doctor’s railway journey becomes extraordinary when he is asked to tend to a sick fellow-passenger. The would-be patient is, in fact, fraudulent, and the doctor is the protagonist of a robbery, resulting in the loss of half a million dollars. 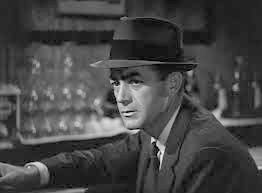 Neat, precise, well-timed, the scheme brings in the top investigator (Mark Stevens) of the company that insured the looted money, and a frequent collaborator of his, an old-time railway cop (King Calder). It turns out that this perfect crime is not quite perfect - and anything but what might be expected. An inexpensively made film, Timetable moves from a caper to a psychological thriller at some point. This serves it well, as the story is actually about the plan behind the heist and the people involved in it. The cast is, for the most part, capable. Stevens is not an exciting or charismatic leading man, but was certainly comfortable before a camera. Calder was a veteran performer, and does a good job as a plodding but usually successful detective. 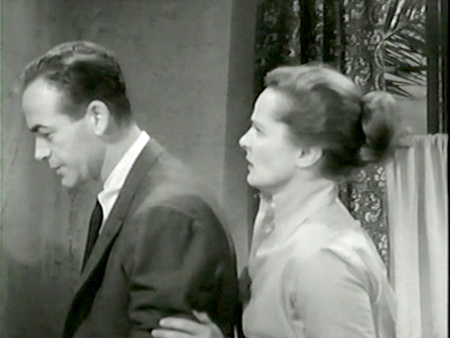 Felicia Farr, the dark-eyed girlfriend of the criminal mastermind, is suitably determined and frightened, by turns. 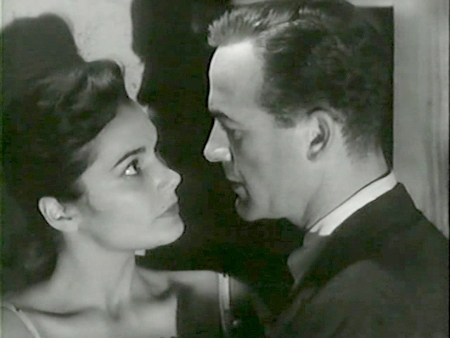 Marianne Stewart, playing Stevens’s wife, is a weak link; her performance is stilted and unconvincing. 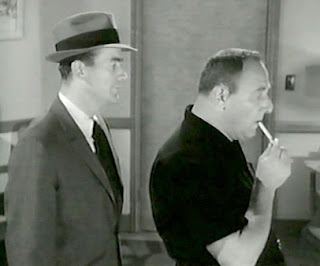 Included in small parts are some actors who would become better known, such as Jack Klugman as a luckless man caught up in the crime, John Marley as a shady night-club owner and Alan Reed, in a larger role, as a helicopter pilot. That’s him looking like Fred Flintstone, to whom Reed would give his voice, ten years later. The script is entertaining but only after about a third of the way through, when it throws the viewer a twist. We see the crime’s investigation from both sides of the law and, though it is a good idea, it is not as forceful, or as involving, as it could be. There is a certain lack of motivation in the criminal’s actions - aside from wanting a large amount of money - though there is a clue in the first line he utters. What is at fault in Timetable is the direction and editing. 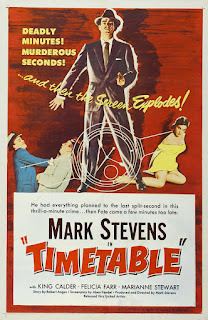 Stevens’s work behind the camera left me thinking that his timing was off; ironic, in view of the film’s title. There are several scenes which seem to begin a second or two early, as if we caught a tiny piece of the rehearsal, and a couple in which the blocking is troublesome. A scene of an argument between Stevens and Stewart comes out of nowhere and, though its volatility was probably intentional, it does nonetheless appear unprovoked, which may have had to do with the editing. As well, the scene set on a train gave me no sensation of movement on rails, and could have been placed in a small hotel. That written, Timetable is a flawed, not unsuccessful crime drama. It is a low budget film by people who, I believe, enjoyed what they did but, for the most part, didn’t have an abundance of talent with which to do it. "It is a low budget film by people who, I believe, enjoyed what they did but, for the most part, didn’t have an abundance of talent with which to do it." It reads a bit harsher than I meant it. These were good actors and writers, just not VERY good actors and writers. But as I say of foreigners who speak poor English, "They speak my language better than I speak theirs." They were doing what they loved.